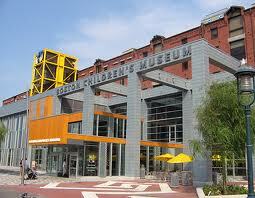 Did you know that the Boston Children’s Museum was founded in 1913 by a group of teachers in Boston’s Jamaica Plain neighborhood? It’s goals were to engage youth in identifying and marking nature walks, preparing specimens, making clay and wax models for exhibits, and even attempting projects like working models of the metropolitan water system. Today, the goal for the museum hasn’t changed much! Their goal is for children to grow up feeling secure and confident with respect for their peers and the natural world. Bring your kids! Old Town Trolley has a stop just across the Congress Street Bridge at stop #16. 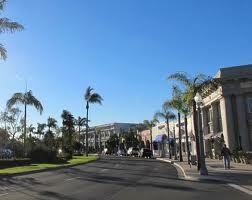 Downtown Coronado’s Orange Avenue is village-like, relaxed, and is just a couple blocks from the Coronado City Beach! And if you’re looking for a great walking area, Orange Avenue’s quaint architectural style makes it a picturesque route. At the southern end of the avenue’s impressive shopping district is the Del Coronado Hotel and The Silver Strand. It also contains many delicious restaurants, gardens, and specialty shops! The Old Town Trolley has a stop on Coronado on Orange Ave. at McP’s Stop I. Since 1933, the National Park Service has maintained the Petersen House as a historic house museum that recreates the scene at the time of Lincoln’s death. Here, guests can learn more about that fateful night and the people who surrounded the President during his final hours. 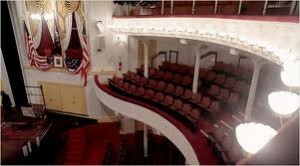 Across the street, Ford’s Theatre celebrates the legacy of Lincoln and explores the American experience through theatre and education. It is a working theatre, historical monument, world-class museum, learning center, and a premier destination in Washington DC! It explores and celebrates Lincoln’s ideals and leadership principles of courage, integrity, tolerance, equality, and creative expression! Do you love the Ghosts and Gravestones Trolley Tours of St. Augustine? Great! Go vote now for our Trolley for “Best of St. Augustine!” Old Town Trolley Tours are proud to provide the community with awesome, high-quality St. Augustine Haunted tours run by actors who are just as excited as you are to be apart of Ghosts and Gravestones! These haunted tours in St. Augustine are an evening of fun, scares, and ghost stories as you are guided through the nation’s oldest city! Listen to local tales of murder and mayhem with a dash of humor and history! 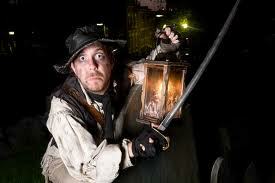 Exclusively on our St. Augustine tour, visit the town’s most haunted building, The Old Jail, for a hands on encounter! Vote now! Posted in St. Augustine | Comments Off on Love Your Ghosts? Key West. The island Pulitzer-prize winning author Ernest Hemingway called home during the 1930s. No doubt his presence in Key West has left a powerful mark on not only its general history, but also its literary history. While residing here, Hemingway authored some of his most famous and lasting works. His celebrity, brought about by his literary accomplishments, is celebrated by his admirers every year during Hemingway Days. And those who are less familiar with Hemingway and his works are also drawn to Key West in order to learn more about his life, career, and works. This year, the rich history that is Hemingway’s legacy will be commemorated Tuesday through Sunday, July 17th – 22nd, 2012. 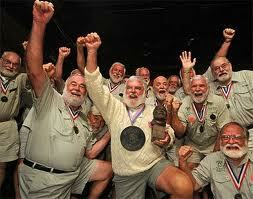 Hemingway Days events will include a Hemingway look alike contest, readings, book signings, awards ceremonies for literary competitions, the 133th anniversary of Ernest’s birth on July 21st, a one-man play that explores Hemingway’s legend, museum exhibits of exclusive Hemingway memorabilia, the traditional “Running of the Bulls,” and a three-day marlin tournament. Come and engage in one of Key West’s most historical occasions! Posted in Key West | Comments Off on Earnest for Ernest? You are currently browsing the Old Town Trolley Tours Blog blog archives for July, 2012.